As you may already notice or be reminded of this winter, heating is the largest energy expense in most homes. It could account for as much as half of the home’s energy bills! Reducing your energy use for heating provides the single most effective way to reduce your home’s carbon footprint and make winter a little more affordable, not to mention warmer. In colder climates, a combination of conservation efforts and a new high-efficiency heating system can often cut your pollution output and fuel bills by one-third, and in some homes by half. 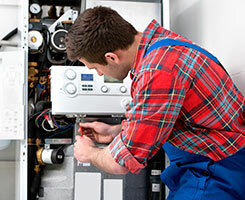 Just upgrading your furnace or boiler to a high-efficiency model can really help. A heating system replaces heat that is lost through inefficiencies of your house. How much energy your heating system loses depends on four factors: where the house is located, how big the house is, the energy efficiency of the house and how energy efficient the heating system is. Living in Minnesota, your home is most definitely located in a cold climate and could benefit from a more efficient system. High efficiency heating can keep you warmer in winter! Because new, efficient systems run at nearly 98% efficiency, you can rest easy knowing all of that warm air and hot water are being used to heat your home or office and is not being lost because of inefficiency. 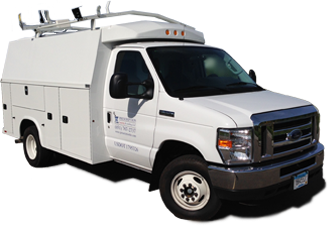 A heating company like ours can install high efficiency HVAC equipment that will save you money in the long run. Because this equipment runs more efficiently, that translates to big savings for you on your utility bills. Is your HVAC system outdated? In recent years, furnaces have become far more efficient than systems of the past. When you buy one of these furnaces, your wallet will surely benefit. Are you interested in learning more about upgrading your heating in Maplewood? Call Prescription Heating & Cooling at 651-767-2737 or get a Free Estimate on New Installations.